The 42-year-old reality-TV regular and former 90210 star has been having financial troubles since her father, Hollywood director and millionaire, Aaron Spelling, passed away in 2006. Although her father’s estate was worth an estimated $500 million, Tori reports she only inherited $800,000 due to her mother, Candy Spelling, manipulating the will. Because of her spending habits (Tori herself has stated that she was a full blown shopaholic), the money was gone fast, and Tori and her husband Dean resorted to having a “fire sale” last Father’s Day on the front lawn of their San Fernando Valley rental, selling everything that they owned that wasn’t nailed down in order to support themselves and their four children. Tori’s current situation is a far cry from the life of luxury she once lived. Tori grew up alongside her brother, Randy, in the home of their father, a palatial estate at 594 S. Mapleton Drive in Los Angeles that her brother has described as being a “fantastical palace” and which was referred to as “Spelling Manor” by the rest of the community. 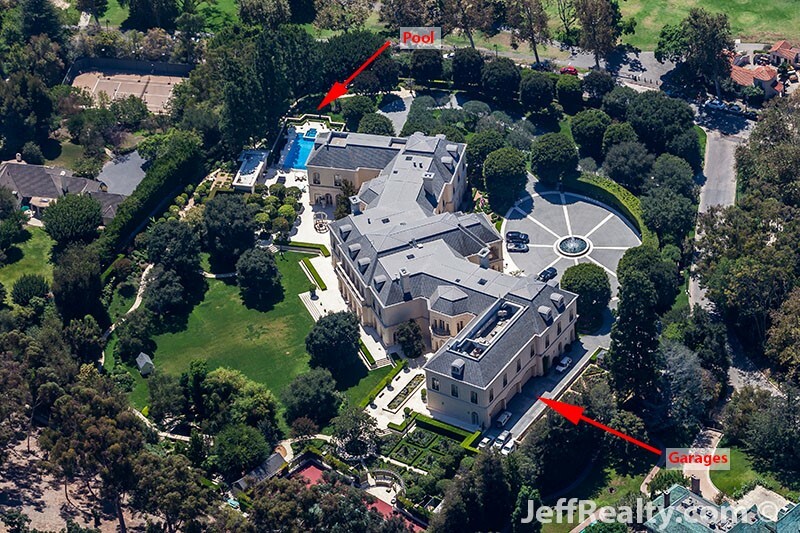 The French-style white mansion has 11 bedrooms and 16 bathrooms, allowing all four members of the family four of their own bathrooms. The children each had their own wing of the house and even a smaller playhouse out on the grounds as well as a bowling alley. The Spellings were very generous with their children (possibly leading to Tori’s shopping addiction) and had three rooms of their home designed just for wrapping presents. The children grew up enjoying the state-of-the art pool, tennis court, an indoor ice-skating rink and gardens on the immaculately maintained estate. 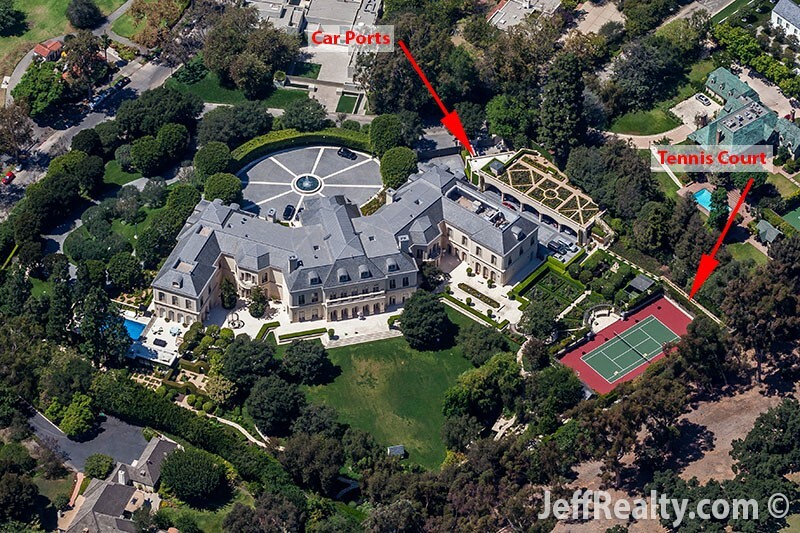 The enormous circular driveway features a French fountain in the center. Of course, the home features a state-of-the-art screening room for Spelling. It also has a state-of-the-art gymnasium, three 2-car garages, and five 2-car carports. It is said that more than 100 cars can park on the property. Closet space was at a premium with an entire floor, basement, and an intermediate level between the second story and the attic devoted to closets. Aaron’s wife, Candy, needed a whole wing just to accommodate her wardrobe. No wonder Candy wanted the whole fortune to herself! Perhaps Spelling built such a big estate for himself and his family since he was afraid of flying and did not often travel far from his home or his work. When Spelling served in the U.S. Air Force and was flying from Texas to Ohio, he came down with the flu and the flight surgeon took him off the plane because he was too sick to fly. The plane to Ohio later crashed and everyone on it was killed. Spelling rented a car to drive home, and when he got there, his mother fainted because the authorities had told her that her son had been killed in the crash. She made him promise that he would never get on an airplane again and he never did. Daughter Tori said she also inherited her father’s fear of flying. 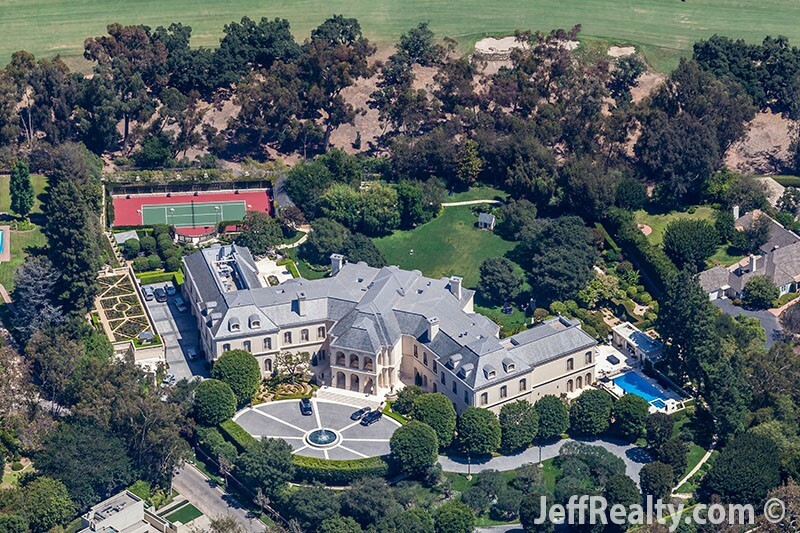 Posted in Celeb Homes, Homes For Sale, real estate on January 28, 2016 at 3:25 am.